Your resume is going to be scanned and searched by automated software after you upload it to a company’s resume database. That database has hundreds, maybe thousands, of resumes. The software looks for keywords that are relevant to the job you’re applying for. Then if it lands on the desk of a hiring manager by some small miracle, it’s got to keep that person’s attention long enough to convince them you’re worth interviewing and perhaps worth hiring. That is a lot of hurdles for your resume to go through to get you a job. 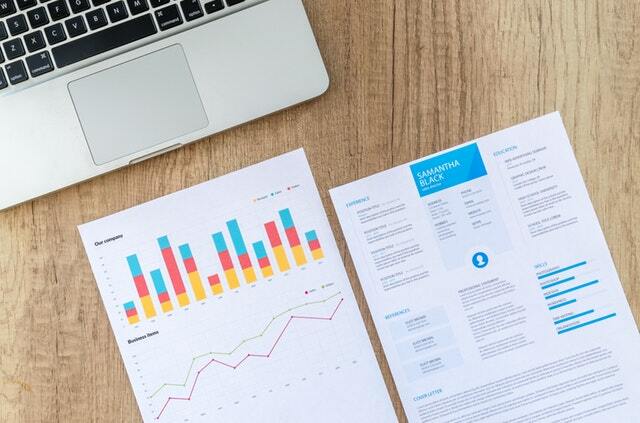 The best way to help your resume move through all of the screening processes is to keep it relevant, short, sweet, and to-the-point. Look at your resume now. How long is it? Typically, you want a resume that is a page long, unless you have had an extensive career spanning a significant length of time. What can you take out? Remove irrelevant job experience. Think about the jobs you have had that didn’t require you to use the skills that are specifically listed in the job advertisement you’re hoping to fill. Cut them, or keep them to one or two short lines. Reduce the wording for early jobs. Even if these jobs from the first part of your career are relevant, your accomplishments in them may not be as relevant as what you have done in recent years. Again, keep the descriptions to a line or two. Your professional summary at the top of your resume is where you want to focus your efforts. This part can be a bit longer than individual job and education descriptions, but you still want to concentrate on using words and descriptions that demonstrate that you have the skills to bring value to an organization. They remind you to be short and direct by their very nature. People use them to draw attention to quick facts/information. Because they are meant to be used to bring conciseness to a document, they lend themselves well to numbers, which bring us to our next point. If you can describe what you have accomplished for past employers in numbers and percentages, do so. How many clients did you work with? By what rate did you increase the sales of a company in one quarter? (If you haven’t started, begin keeping a job journal where you note down these figures to add to your resume for the future.) Employers want to know the bottom line, how you can benefit them, and numbers are the perfect way to do so. Your resume needs to impress, but that doesn’t mean fancy formatting and fonts. Bullet point your biggest accomplishments, and employ powerful, specific words to describe what you’ve done and what you’re capable of doing. Keep your sentences short and easy to read. Employers will want to interview you in part because you’ve shown you’re capable of delivering information in a way that meets the needs of clients, or, in this case, potential employers.